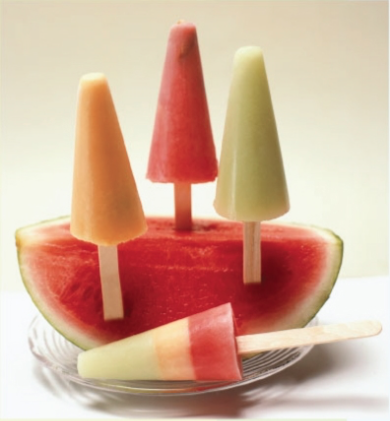 Did you know, you can make superfood popsicles with ingredients you most likely already have in your kitchen? 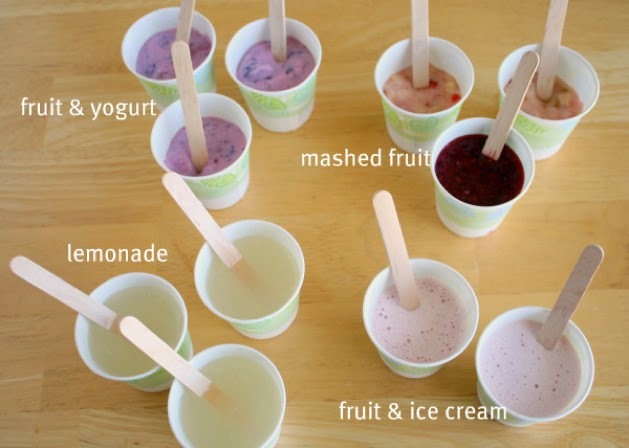 If you have yogurt, fresh or frozen fruit/greens and/or juice you have AWESOME popsicles waiting to be made. Just pull out the Dixie cups and craft sticks, then pour and freeze. In fact, not only do I save money by making my own popsicles, I waste less too! I open the produce drawer and start grabbing the things that need to be used; spinach, kale, apples, oranges, strawberries, bananas... Then throw them in the blender with yogurt, juice or coconut water. My favorite molds, and I know plenty of moms who agree, are mess free and safe for kiddos. 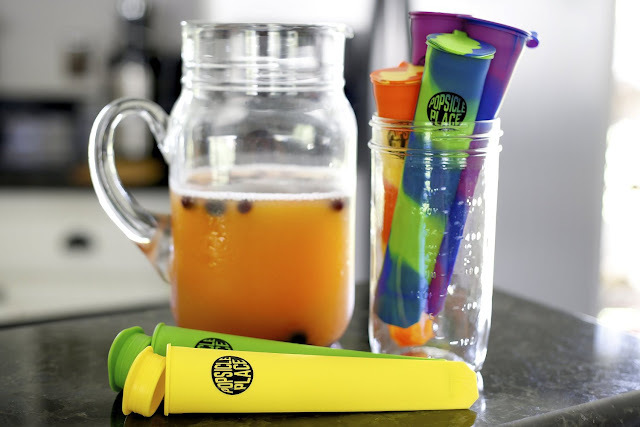 Silicone, food grade popsicle molds with lids. OK, now that the molds are covered, it's time to move on to the super-duper easy part, making the popsicles! 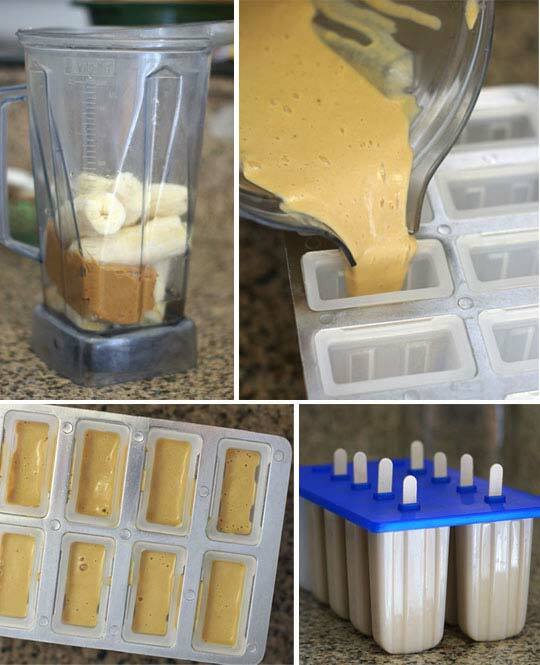 These Peanut Butter Banana Ice Pops are SO simple and great for breakfast on-the-go too! Add Peanut Butter, Bananas, honey, almond milk, vanilla extract and a pinch of Himalayan salt, then blend, pour, freeze, eat! 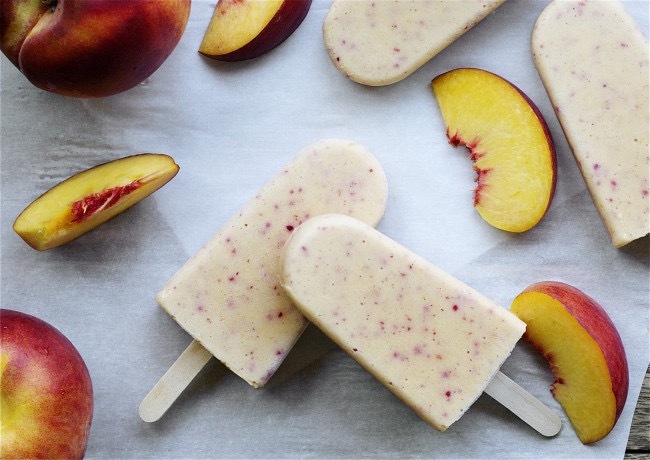 These Peach Smoothie Popsicles from Brit + Co are a summer staple for me. I LOVE peaches and so does the kid. Sometimes I throw in chocolate shavings for an extra sweet treat! 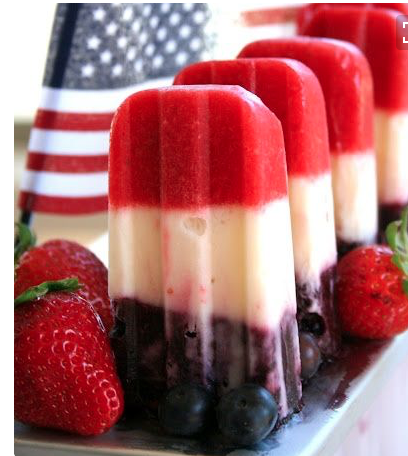 These layered Berry + Yogurt popsicles are super healthy and festive for Memorial Day! Tip: To make those fancy layers pour one or two layers in at a time then freeze. Repeat. Looking for the REAL breakfast of champions? 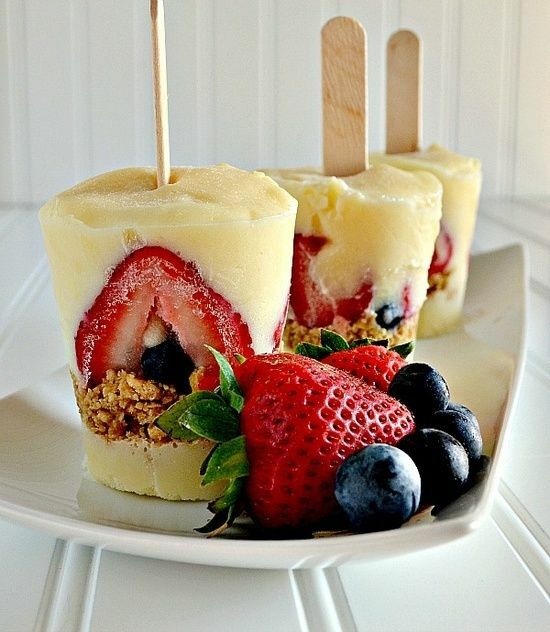 Look no further than these Yogurt Parfait Popsicles. Mix greek yogurt with a little honey, grab berries and granola and start layering. Add smoothie mix-ins like protein powder or superfood powder for an extra kick. Hate throwing away leftover melon? Puree it, then mix in a little coconut water, juice or yogurt to give it a smoother texture. 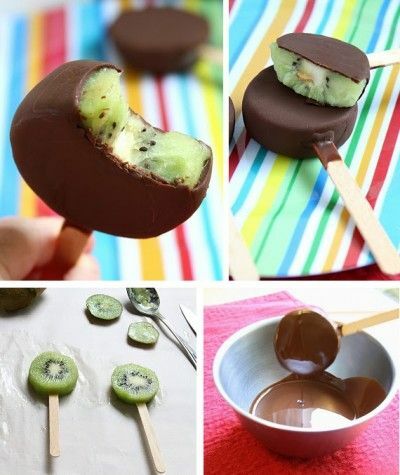 I'm sure you get the point, Homemade Superfood Popsicles are easy and yummy. Now, go dig in the fridge and make something magical! 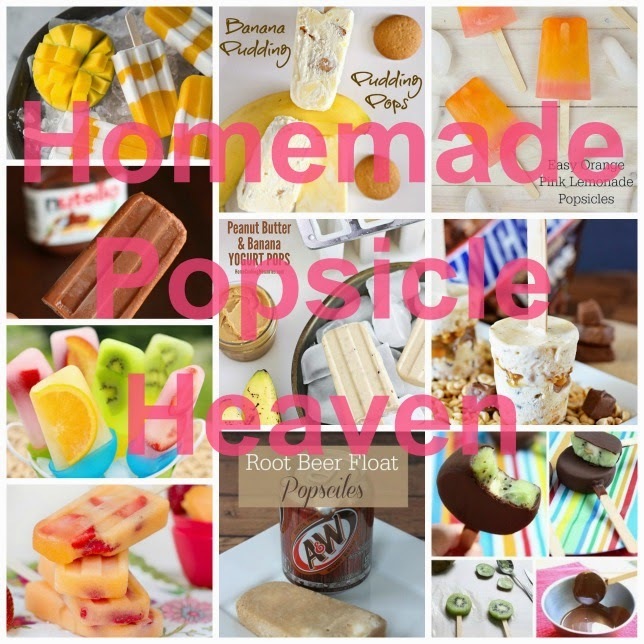 Check out all of my superfood and not-so-healthy favorites, including boozy Pop-tails on my Homemade Popsicle Pinterest Board! Get my favorite molds on Amazon: They double as great on-the-go snack containers too!